Alcohol has long been known to cause a myriad of undesirable physical, mental, and social problems and although it’s often used excessively or frequently, its overindulgence is not as stigmatized in society as other addictive drugs. Most people who have an alcohol use disorder (AUD) play it off as their way of dealing with common issues the majority of us experience, daily, and it’s not until they openly experience the detriment of its effects that they ever come close to seeking help. This is where the 12 step recovery proves to be most beneficial. According to the Great Lakes Addiction Technology Transfer Center, “The essence of empowerment is the ability of people to participate in decisions that affect their lives and to join together with others in similar circumstances to advocate on issues of common concern.” Few other treatments encompass the broad range of perspectives and real life aspects of addiction provided in an atmosphere of trust, experience, sincerity, and support. The following, ishow you can build a sober life that you can be proud of and how a 12 step treatment can help. Why Choose a 12 Step Treatment? The best 12 step treatment programs take a comprehensive approach to the treatment of alcohol dependence showing respect for the patient as they go through the painful and unpleasant withdrawals and move on to those critical issues that impact their hopes, dreams, family, and societal functioning. The 12 step principles of recovery were adopted from Alcoholics Anonymous bringing people together in commonalities of suffering from alcoholism to encourage sobriety, serenity, and acceptance to move past mistakes and into satisfying and hopeful lives. 12 step programs help you stay sober! As fundamental goals of care, 12 Step support groups are introduced and encouraged in 12 step treatment programs for strategic maintenance of long term recovery. According to the NIDA, these groups can “help people achieve and maintain abstinence and other healthy lifestyle behaviors over the course of a lifetime.” Maintaining sobriety for the long term will always be difficult without education, assistance, and the support of positive influences to help you live a balanced life. In a 12 step treatment, building a sober life is accepted as a process of setting goals and acquiring setbacks. No one is expected to be perfect or to have to make excuses for their behaviors bringing on more shame, guilt, and risks of full-blown relapse if they falter in some way. These non-judgmental groups have acknowledged the theme of “accepting things you cannot change and changing the things you can” to instill hope, purpose, and meaningful joy back into the recovering individual who needs the help to stay on track. 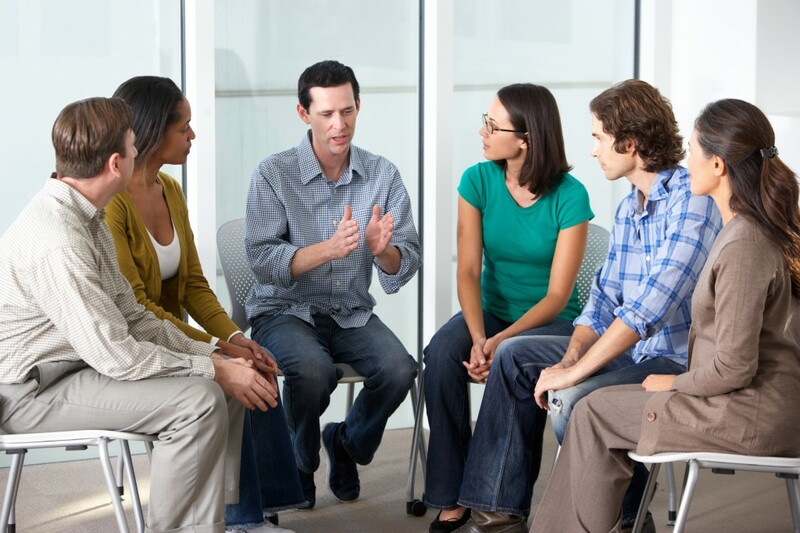 Mutual respect, psychological, and spiritual support are highlighted as groups come together in meetings to share common experiences and concerns regarding their alcohol abuse, dependency, or consequential harms, supporting each other in sobriety and finding alternatives to improve their overall quality of life. The features of a 12 Step treatment program may or may not be specific to recovery for alcoholism, but, can be effectively applied to a variety of other recovery needs in a peer-supported, self-help scenario. People are the greatest assets of peer support groups that come from diverse backgrounds, experiences, and knowledge to help access the resources and support you need to improve your health, restore relationships, and gain the proper perspectives when harsh negativities hit. It’s not enough to get sober and stay in the same lifestyle that you became accustomed to while abusing alcohol. Your life must change and who better to help you do this, than someone who knows what you’re up against or who’s done it before? In 2014, the SAMHSA reported an estimated 2.4 million people aged 12 or older in reported receiving treatment for alcohol abuse with “about 1.1 million adults aged 26 or older received treatment for the use of both alcohol and illicit drugs.” Millions of other alcohol abusers needed treatment, but, never received it, electing, instead, to try to manage their problems on their own. That old saying,” Nothing changes if nothing changes” is absolute. Denial, rationalization, resistance, and assertions of personal freedoms are common defense mechanisms that many people use to protect themselves from taking necessary steps to get and stay sober. Change comes from the inside, but, can be influenced by peers, family, and other support systems. In a 12-step treatment, those suffering from alcohol or other drugs can gain the help they need to motivate meaningful changes in their personal, family, and community lifestyles with a primary focus on long term abstinence. Immediately linking recovery needs with continuity of recovery support has helped millions in 12 step treatment programs take back their lives.